"Fight Gear For The Fighting Sports!" Finally A Gear Company that Will GIVE BACK To Those Who Make The Sport! Examples of Some of Our Custom Made Equipment! 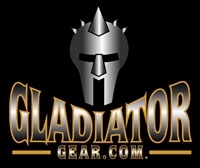 Gladiator Gear Contact Info Coming Soon!